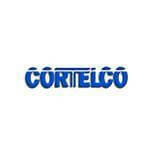 Bluetooth is a wireless technology that uses specialized radio frequency for exchanging data over short distances. 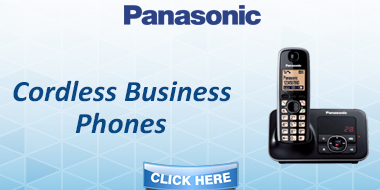 Bluetooth is sufficient in many situations like when transferring any file or sending any music or photo between mobiles phone or PC and cell phone. This technology is also being used heavily in products like headsets, headphones, laptops and speakers. 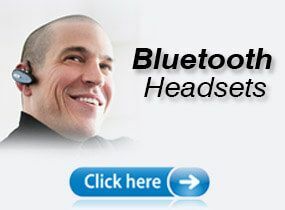 Products like Bluetooth headsets have a small computer chip inside that contains Bluetooth radio which enables them to connect with other devices. A single Bluetooth headset and headphone can be simultaneously linked to multiple devices allowing people to talk on the mobile phone or listen to music during a walk or traveling and also use by many professionals in particular by the call centers, air traffic controllers, and in the telecom industry. When we talk about which brand Bluetooth headset or headphone to buy, it comes to Plantronics which is the worldwide leader is manufacturing and designing of wireless headset today. 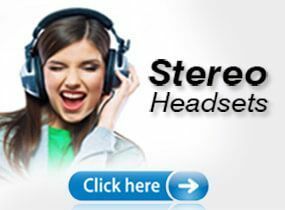 Headsetzone.com offers superior quality of Plantronics Bluetooth headsets and Plantronics wireless headphones for its customers. 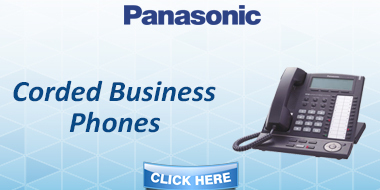 We Telegiants are the distributor of Plantronics since 1964. 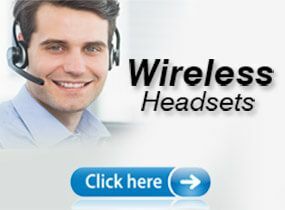 You can buy your favorite Plantronics wireless headset and Bluetooth headphones by placing order on your favorite website Telegiants.com. 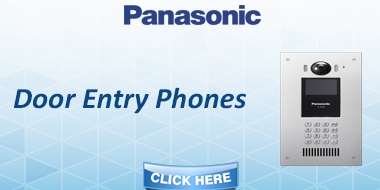 Along with discounts, we also offer extended warranty to prolong the life of your Plantronics products. 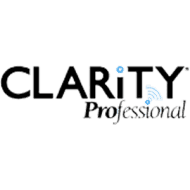 We reckons customer satisfaction in its top priority, so it also provides full life time support services with 30 days money back guarantee on all of its products. The Plantronics Voyager CS Wireless Headset is a single ear wireless headset which is meant to pair seamlessly with both your deskphone as well as your mobile phone. Finally one headset that you can use all day at work and continue to wear for the drive home. And with 7 hours of talk time and up to 11 days of standby time on one charge, you can maximize your productivity in and out of the office. The Plantronics Voyager CS Wireless Headset with Lifter is a single ear wireless headset which is meant to pair seamlessly with both your desk phone as well as your mobile phone. Finally, one headset that you can use all day at work and continue to wear for the drive home. And with 7 hours of talk time and up to 11 days of standby time on one charge, you can maximize your productivity in and out of the office. 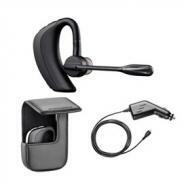 Plantronics Voyager Edge UC-B255-M Mobile Optimized Wireless Headset is a wireless headset for seamless connectivity. It consists of a combination of superior audio quality, very fast performance, soundless conversations on both sides, lightweight comfort and much more. 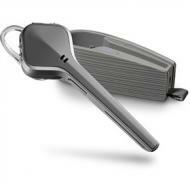 Plantronics Voyager Edge UC-B255-M Bluetooth Headset offers responsive features like auto call answering without clicking any button or without looking at the phone. 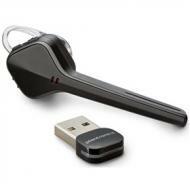 These responsive features lie under smart sensor technology of Plantronics Voyager Edge UC-B255-M series. Smart Sensor technology can redirect calls to your phone or headset, and when you place the headset on your ear, it can automatically answer the calls. 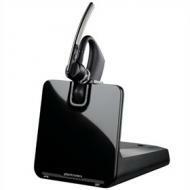 Plantronics Voyager Edge Jet Black Wireless Headset is an excellent technical device that accompanies you in getting and transmitting quality voice calls free of any disturbance. 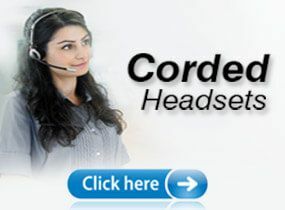 The headset is lightweight, convenient to wear and provided with quality features that allow you to carry uninterrupted calls. Buying a Plantronics Voyager Edge Jet Black Bluetooth Headset is a wise decision as the designed Bluetooth is not only a manifestation of advanced technology but a sleek, creative design and an expression of your classy choice. Moreover, your device is engineered to have excellent battery timing where the sound signals are filtered from all the disturbing noises and dust contaminated airwaves. 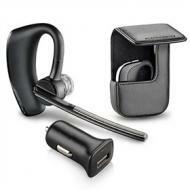 Plantronics Voyager Edge Slate Grey Wireless Headset is a unique device designed especially for your comfort. This device is ideal for disturbance free calls and quality voice transmission as it enhances the sound of the caller and minimizes the surrounding noises such as the sound of the wind, movements, background noises, etc. 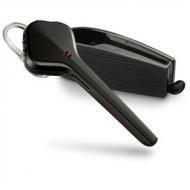 Plantronics Voyager Edge Slate Grey Wireless Headphone is portable, lightweight and easy to wear. Audio alerts keep you updated, and voice recognition technology gives you full control over the device. Long battery timing and easy access to charger keep your device ready all the time. You can wear the device anywhere anytime without the risk of moisture damage as it is protected by Nano-coating which provides safety against humidity. This feature makes it easy for you to carry out your phone calls at the time of rain. The brand new Plantronics Voyager Edge Glacial White Wireless Headset lets you take pleasure in the advanced level of hands-free conversation. The sleek and comfortable design of the device makes it fit perfectly in your makes ear without any pain or uncomfortable sensation. Plantronics Voyager Edge Glacial White Bluetooth Headset is enabled with includes responsive, smart sensor technology that answers the calls automatically when placed on the ear, announces the name of the caller and picks up the call when you say ‘answer.' 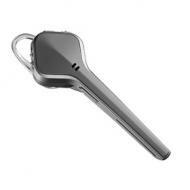 It provides HD voice quality by lessening the effect of background noises and optimizing your sound. Its design is ultra-lightweight which makes it comfortable to wear it around without the feeling of burden. 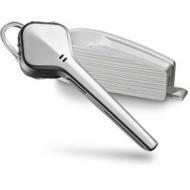 A valuable invention in the field of audio electronics is the Plantronics Voyager Legend Wireless Headphone. 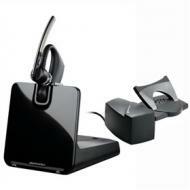 The sleek headset is provided with ultra smart sensor technology that will respond the moment you put on your headset. You don't have to rush to click the button in order to receive the call; instead, just wearing it would connect you. It will tell you by announcing the name of the caller and will react according to your auditory commands if you want to receive or ignore the subsequent call. The Plantronics headsets are built with induced skills to let you check the remaining battery, connection alert, etc. through your voice orders. The automation of the device reaches the next level as you get clear calls without any annoying disturbances. The communication is a way to transfer the messages from one place to another without interruption, and that is why the communication accessories like headsets or headphones are the most demanded electronic accessories in the modern world. The Plantronics wireless headsets or Bluetooth headphones are the most commonly used devices for conversation but just like smartphones; these gadgets also required chargers. 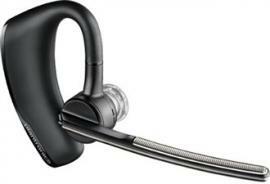 So, the Wall Charger for Voyager Series Bluetooth Headphones are the solutions for Plantronics wireless headsets. The Wall Charger for Voyager Series Wireless Headsets are the AC wall adapters and the charger manufactured by Plantronics for Voyager Series Wireless Headphones. The Plantronics USB Charger for Voyager Explorer Wireless Headsets and headphones are advanced technology items recently introduced by Plantronics. This charger is fit for all Plantronics Bluetooth wireless headset and headphones and perfect for laptop users on the go, and it can also be used in place of the standard wall outlet charger. 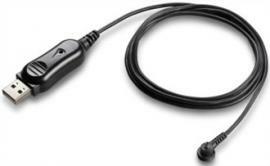 The Plantronics USB Charger for Voyager Explorer Bluetooth Headsets will allow you to conveniently charge your headphone and headset through USB port on your laptop or desktop computer. It has also option to use with AC power adapter. 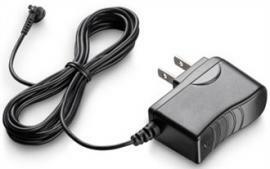 It is also compatible with Plantronics AC wall charger. The magnetized charging contacts in USB charger assures stable charging every time.